Tune in at 3PM this Monday, August 25th, as we are joined by John Zorn and Erik Friedlander for our Afternoon New Music program. They will join us to speak about Zorn's upcoming week at the Village Vanguard, where he will be playing at the legendary venue for the first time. 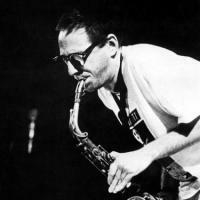 Zorn is a prolific composer and performer who has had a prolific and diverse career in jazz, classical, and avant-garde music. Zorn has been a friend of WKCR for many years, since making his first recordings at our studios in the late 70's, and we are glad to have him back to talk about his current projects. Listen!